A young monster is getting everything she needs to take a dip: a boat, a toy shark, armbands, goggles, flippers. Once everything is to hand she is readyâ?¦ to take a bath! The vividly drawn artwork shows each step of the monsterâ? ?s careful preparations, offering lots of discussion points: is she going for a swim in a pool? In the sea? â?¢ Pink B level (Band 1B) books offer simple, predictable text with familiar objects and actions. â?¢ Text type - A story with predictable structure and patterned language. 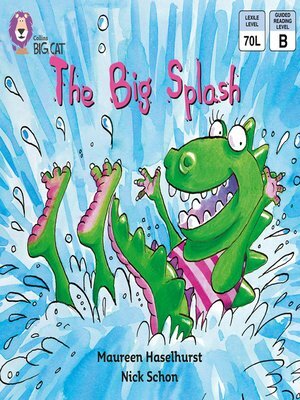 â?¢ An illustration on pages 14 and 14 shows the monster splashing happily in the bath, with all her toys labelled, to help children recap and discuss. Maureen Haselhurst has written many books for young children and regularly visits schools and libraries. She is based near Newcastle.